4- added WIN8 interface too. DO you have firmware in english, my tablet is mapan mx7650b, i buy in singapore. After flash newer version of firmware, at the first booting, you can choose system language. Hi, I know this firmware. 我刷的是JellyBean 4.1.1 v1.3.0 GMail+Win8 UI，但我不想要meto風格，在4.0還可以去除，但現在4.1就沒辦法，請問要如何去除呢??? Hello Friends! I have a problem with the tablet WM 8850 Mid. I flash it is not the correct firmware and now my little friend is not included. Where to get the factory firmware ?? How to get back to my friend's life ??? 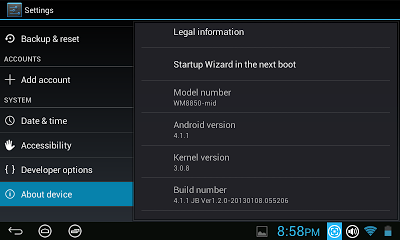 wm8850 tablet is not a uniform hardware. 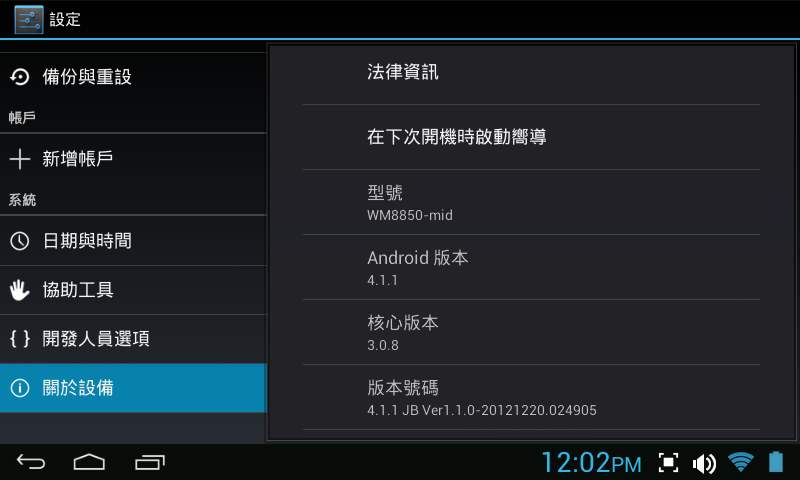 One wm8850 tablet may be = different version mainboard + different kind of touch panel. so, there is not one firmware for every wm8850. You need to know the original specification then choose one correct firmware. Thank you for answering! Can I get your email addres? I'll send you pictures of the motherboard and all the chips ??? Since I am weak in tablet computers. Thank you in advance! Make sure the LCD cable to be connected properly,or connect HDMI to TV directly. The worst situation is: the mainboard has problem. Validating Welcome! I have a problem with the tablet. For a start I will describe the whole situation. My tablet started to work badly. Spontaneously remove programs, hung on the splash screen and slow to react to my actions! I decided to reflash. I did not do a backup, this warning immediately. Because I was confident in his abilities and thought it worked out. 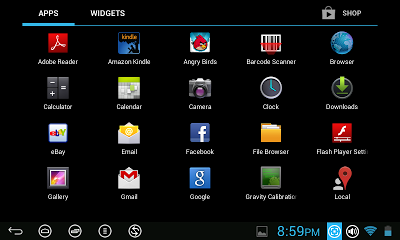 I downloaded from one site to the firmware file, not knowing what model my tablet. And he began to flash it via the SD card. The process was normal, after firmware popped up message firmware is finished, remove the card. I removed the card and turn the tablet. But in addition to a black screen and the red light diode plate no action is done. Then I send the tablet to another city, my friend. He works in the service center .but he said that he could not help me because no brand tablet firmware and it can not find. And then, I started looking on their own. 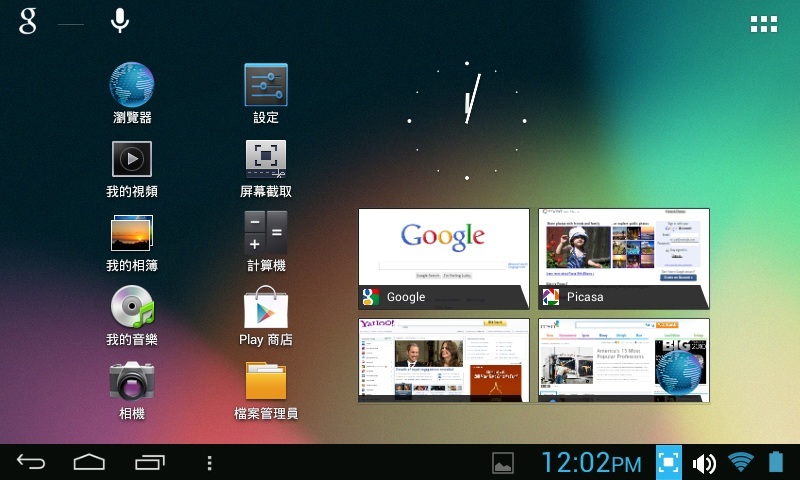 _______________ found a site, post a photo of the tablet, and I was told that it wm8850 tablet = W70_V12 + GS1680 serial touchscreen. You will need to download it. 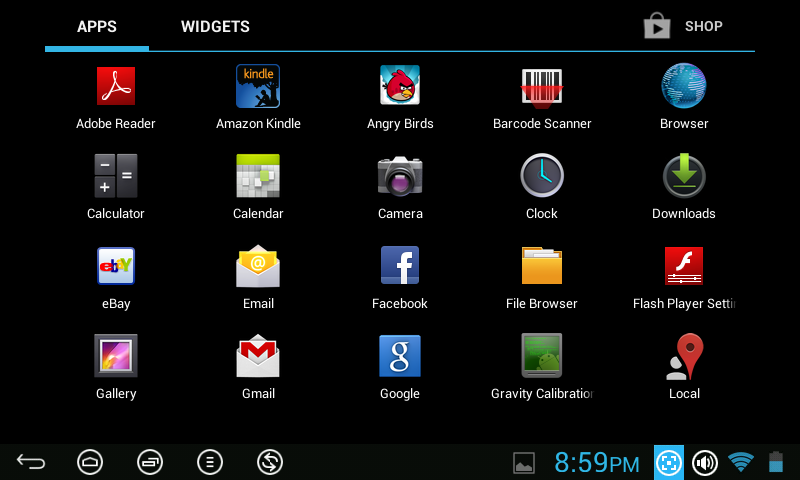 unpack on a clean SD card and just turn on the tablet. Like how he should ask. But unfortunately, it did not happen. I really want to ask for your help !!! I need competent advice from knowledgeable response. What should I do with the tablet ??? How it repaired? What needs to be done, that he began to see the firmware? I have suggested that problem in chip SPI FLASH. I apologize for my English, I live in Ukraine and I use Google translator. I will be glad and grateful for your help! push out tf card , see if autoboot. I need a dump of chip 25q40 spi flash. Then I'll do it myself. Who would be able to assume the chip? Or tell me where to get the dump ???? Thank you very much! Let's see what happens. But there is a very old posts ... so there is no hope for an answer. Maybe someone in this blog, there is a tablet like me? Maybe someone can take a snapshot of the chip or can give me a working backup of your tablet ... ?? ?